Join the fun and celebrate Easter "island style"! FORT MYERS, Fla. - March 7, 2018 - PRLog -- Looking for a fun family Easter outing? 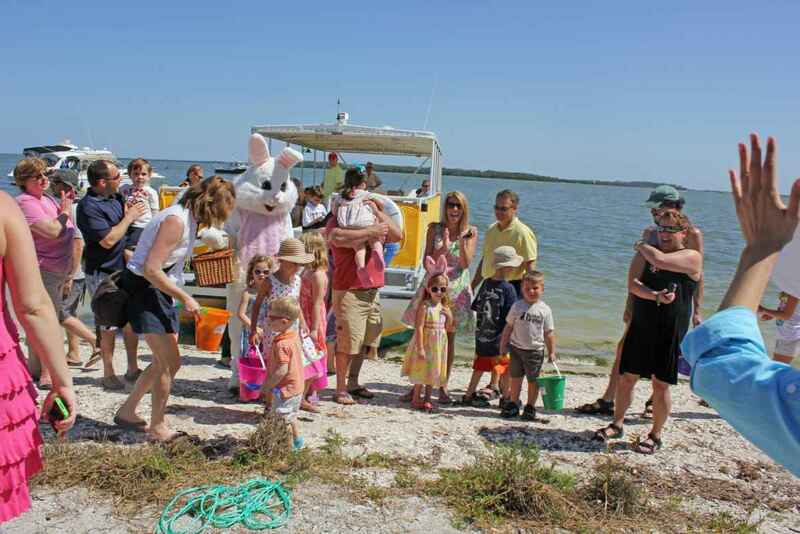 Join Adventures In Paradise as they offer their annual Easter Egg Hunt & Dolphin Cruise for a relaxing journey through the waters surrounding Sanibel and Captiva Island. Bring the whole family and "hop" aboard "Dolphin Waters," "Miss Paradise," or the "Sun Princess" all 45' Corinthian Power Catamarans complete with restroom on board, as you cruise among the dolphins to visit with the Easter Bunny on "Easter Island". With over a thousand eggs on the island, experience Easter egg hunting like you never have before! Along the way sightsee and learn about the local wildlife and estuaries where one of the world's largest populations of permanent dolphins calls their home. The Easter Egg Hunt & Dolphin Cruise will depart at 10:00 a.m. on Sunday, April 1st and return at 11:30 a.m. Please visit http://www.adventureinparadiseinc.com for additional departure times. Easter pails and bottle water will be provided. Tickets are $45 per adult and $35 per child. Tickets sell out; reservations are required. Adventures in Paradise Cruises depart from "G" dock at Port Sanibel Marina. Family owned and operated for the past 32 years, Adventures in Paradise, Inc. is Southwest Florida's premier cruises and boating operation providing friendly, fun and educational experiences through a variety of boat cruises and tours. They offer Sanibel Island Trolley Tours, Shelling & Lunch excursions to North Captiva Island, Sea Life Encounters, Backwater Fishing Cruises, Morning Dolphin Cruises, Afternoon Dolphin Cruises and Sunset Dolphin & Wildlife Cruises. : Adventures in Paradise, Inc.
For Valentine’s Day have a memorable time among Dolphin, beautiful scenery and delicious cupcakes! Adventures In Paradise presents a Geo-Cache Paddling Event!